Babolat and Roland-Garros as of January 2011, now offer an official Roland- Garros line of tennis equipment. The Babolat AeroPro Drive Junior French Open 26 was especially designed for the 2014 Roland Garros tournament for the young fans of Rafael Nadal! The Babolat AeroPro Drive Junior French Open 26 offers all of the same technology and playing characteristics as Nadal's full size version. Excellent spin and power with great maneuverability and touch at net. 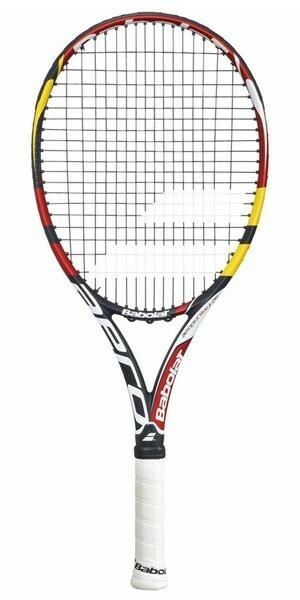 An ideal racquet choice for serious junior players ages 11 and up.